In a letter that will be sent to their Democratic colleagues, the 17 Democrats pledge to oppose Pelosi in the caucus and floor votes for speaker. The move to oust Pelosi comes two weeks after Democrats seized control of the House with their largest majority since 1974. Nancy Pelosi sat face to face with her potential challenger, Rep. Marcia Fudge of Ohio, on Friday as the California Democrat continued her fight to reclaim the speaker’s gavel. The two women huddled at the behest of incoming House Oversight and Government Reform Committee Chairman Elijah Cummings (D-Md. ), a key Pelosi ally and senior member of the Congressional Black Caucus who is also close with Fudge, the CBC’s former chairwoman. Fudge has not formally announced her candidacy. But even floating herself as a potential speaker challenger has scrambled Pelosi's effort to lock down the 218 votes needed to win. Fudge would be the first black woman in leadership and first African-American speaker. 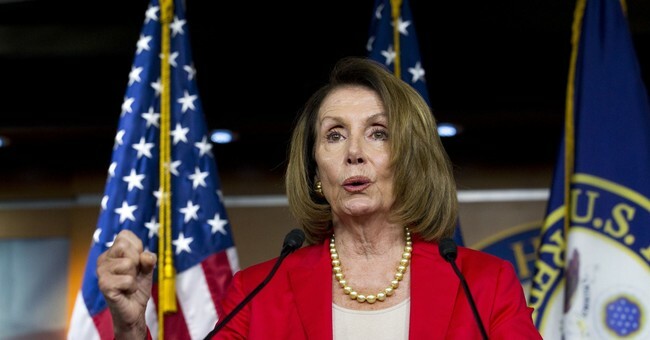 Fudge repeatedly said on Friday that Pelosi doesn't have the votes to win a speakership fight on the floor, stating "If the vote were taken today, she does not have the votes to be speaker of the House. I don’t think I do, either, right now." Prior to her meeting with Pelosi, Fudge suggested she might take a few weeks to decide whether to run. Democrats are set to nominate a speaker in a closed-door caucus meeting on Nov. 28, after they return from the Thanksgiving Day recess. But while many expected that Fudge would want to be on the ballot for that vote, Fudge said she could wait to announce her bid until after Pelosi likely wins the Democratic nomination. Pelosi needs support from only half the Democratic Caucus for that vote. The more difficult test is on Jan. 3 on the House floor, where 218 votes — or a majority of those members present and voting — are required and Pelosi has little room for error. Three House races still need to be called, but as of now, Democrats have picked up 37 seats in the 2018 midterms. They will be coming into the new Congress with 232 members. There are 17 defections, with 198 Republicans obviously not voting for Pelosi. You do the math. Politico’s Rachael Bade says Nancy’s bid is “imperiled” right now, nothing is certain. The signers might not be able to force Pelosi out themselves. The size of the Democratic majority remains in flux, but Democrats have already won 232 seats, according to the Associated Press, with five races still undecided. All those races have Republican incumbents, but the Democratic challenger is ahead in only one of them. If the current leads hold in the uncalled races, Democrats would have won 233 seats — a 16-seat majority. That means Pelosi could lose as many as 15 Democratic votes when she stands for election as speaker on Jan. 3. One of the 16 signers, Ben McAdams (Utah), is now trailing Rep. Mia Love (R-Utah) and might never cast a speaker vote. Not signing the letter is Rep. Marcia L. Fudge (D-Ohio), who has publicly opposed Pelosi and is now mulling a run against her. Fudge said Friday she would not make a final decision on whether to run until next week at the earliest. Another five Democrats — Rep. Conor Lamb (Pa.), and Reps.-elect Jason Crow (Colo.), Jared Golden (Maine), Mikie Sherrill (N.J.) and Abigail Spanberger (Va.) — have made firm statements saying they would not vote for Pelosi but did not sign the letter.